You love that outdoors man or woman in your life, and they love anything that helps them get outside more. These items were curated with those ends in mind—to make anything you do outdoors a little easier, slightly more comfortable and that much more fun. 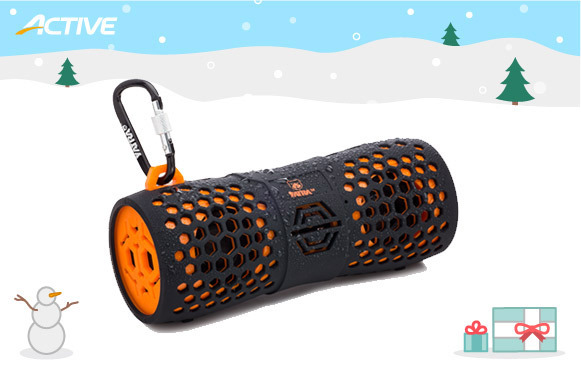 This "Play Anywhere Speaker" is the perfect audio solution for anyone on the go, but especially for those looking for something durable enough to survive any outdoor conditions you throw at it, short of submerging it in water. The All Weather System technology ensures that water or dust won't disrupt your music-listening experience, and a handy carabiner allows you to conveniently hang it within earshot for easy listening. 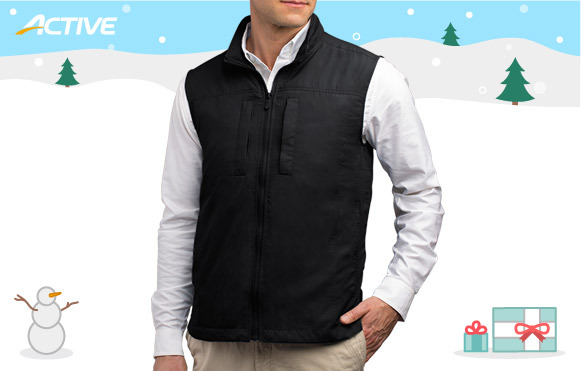 Ideal for any kind of summer traveling, indoor or out, this featherweight vest lives up to its name as the lightest offering in the SCOTTeVEST lineup. The vest features 14 pockets for easy access to all your gear and mobile devices, and the pockets are intelligently designed so that you can store all those items without increased bulk. Interior RFID blocking pockets prevent skimmers from accessing your credit cards or passports. Stitched holes allow for easy routing of headphones to prevent tangling. 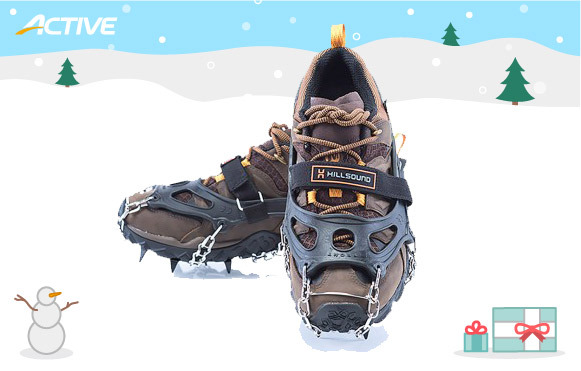 When regular hiking boots won't cut it, the Hillsound Trail Crampon provides excellent traction on any kind of hard-pack snow or icy surface. The harness is easy to slip on and off, and adds additional snugness with a Velcro strap that tightens over your boot. The crampon also collapses so it doesn't take up valuable space in your backpack. It's a must for any kind of winter backpacking or hiking. 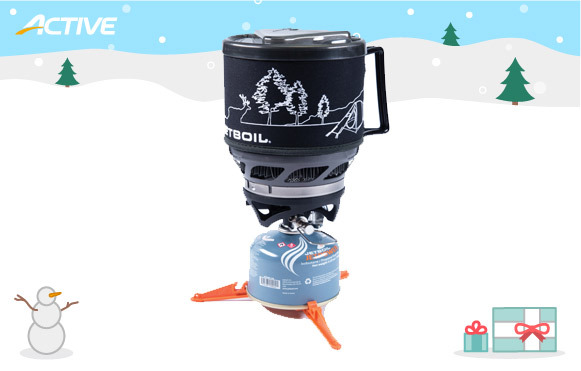 Jetboil's mini cooking system provides all the necessary functionality you need from your mobile camping stove when you're roughing it. The MiniMo's fuel valve technology has 2.5 turns of simmer range, so you can do more than just boil water. The flame works consistently in conditions down to 20 degrees Fahrenheit, and its sturdy handles, height and size provide an optimal compact design great for an easy heat-and-eat experience. 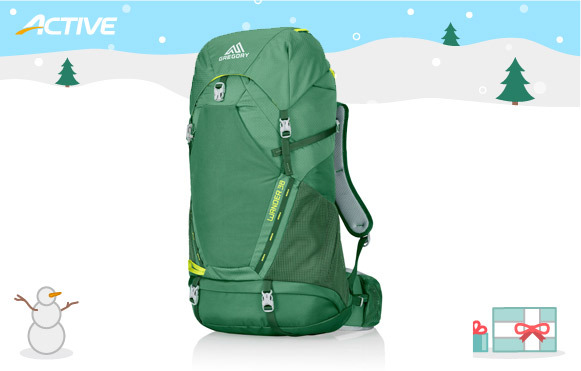 This Daylite daypack offers big performance in a tiny package. The entire pack folds away into a sewn-in compartment that fits in the palm of your hand. When opened, the Daylite16 offers a durable—but light—pack that is perfect for traveling or day hiking trips. The pack features two water-resistant zipper compartments and two side pockets for easy access to your belongings. Need an outdoors T-shirt than can wear like a performance tee, but can take a little wear and tear? 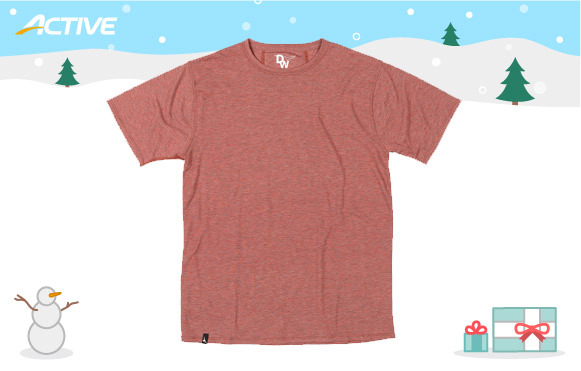 The Duckworth Vapor T-shirt is lightweight, wears well and looks good. The Vapor Wool fabric is anti-microbial, so you don't get the stink that accompanies most sweat sessions, which you're probably doing a lot of during your outdoor pursuits. 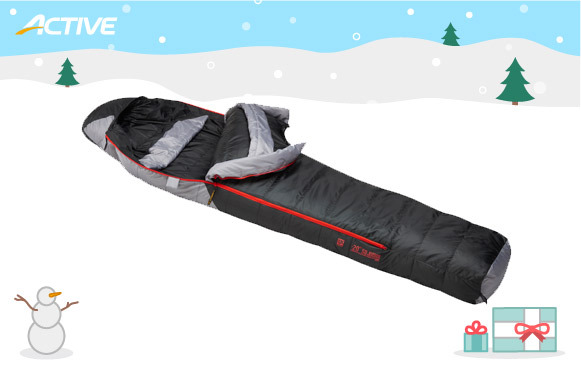 The Slumberjack Sojourn Sleeping Bag offers a lightweight solution for protecting you from the cold with its DriDown technology, which is a proprietary treatment that helps keep the down dryer and loftier longer than untreated down. The bag also offers an "arms out" feature, which, as its name suggests, unzips on the side to allow your arms to move freely while keeping the down attached to your head and chest. This way, grabbing a flashlight, reading or whatever other task you need to perform can be managed without opening your bag and exposing yourself to the elements. Zippers on either side of the bag provide ventilation options that you can adjust based on your ideal sleeping temperature. Small details like that are what make this compressible, 4 lbs., 6 oz. bag a keeper for any cold weather camping. The bag is also temperature rated for -20 degrees Fahrenheit. 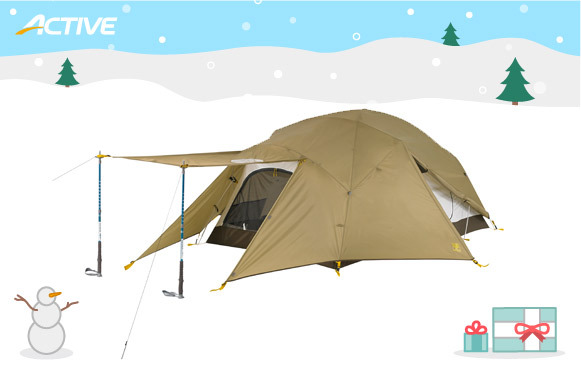 The Slumberjack In-Season, two-person tent is suitable for all climates and weather conditions. The three-door, three-vestibule tent offers a variety of entryway options, so that even if weather conditions deteriorate, you'll have entry-and-exit options that will help keep the elements out. The five-pole construction will stand up to tough winds and allows for a myriad of ventilation options. The floor's length, at 7 feet 9 inches, can easily accommodate tall users and their gear. Sunglasses make as personal a statement as any other piece of clothing you wear. In the past, sport sunglasses used to mean slipping on a pair of space age shades (not that there's anything wrong with that). If you opted for a pair to wear strictly for aesthetics, you might have to deal with lenses and frames that weren't able to keep up. 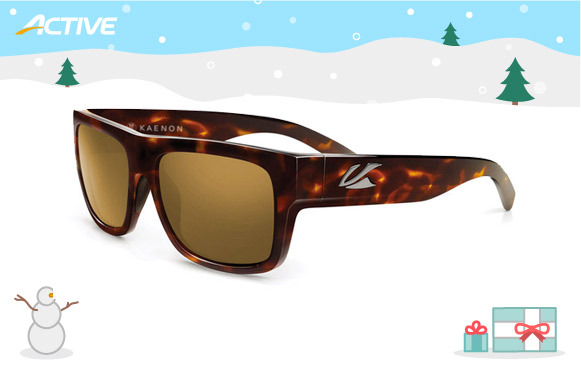 In pursuit of style and function, Kaenon hit the sweet spot with its Montecito sunglasses. The frame is light and durable, and the recessed nosepads help keep them in place when you're on the move. The high-performance, impact resistant SR-91 lenses offer crisp clarity to the point that you might forget they're even on—until someone comments on how good you look in them. Wear them on the trail or out at your favorite patio, and they won't be out of place at either. Recreation.gov is the reservation portal for 2,500 federal areas with more than 60,000 facilities and activities. 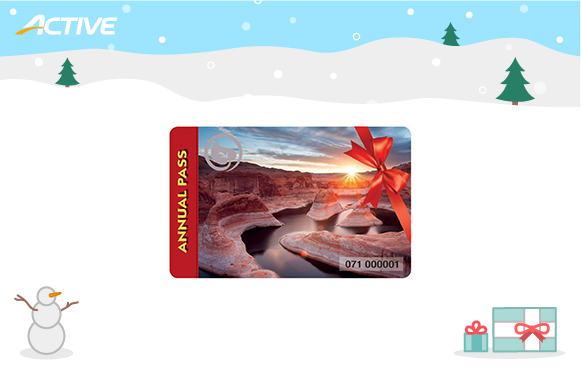 This gift card covers entrance fees at national parks and national wildlife refuges, and covers amenity fees at national forests and grasslands. The pass is good for one year through the last day of the month that it was purchased. Great outdoors, here you come! A good base layer needs to transport moisture away from your skin to help your body regulate a nice, even temperature. 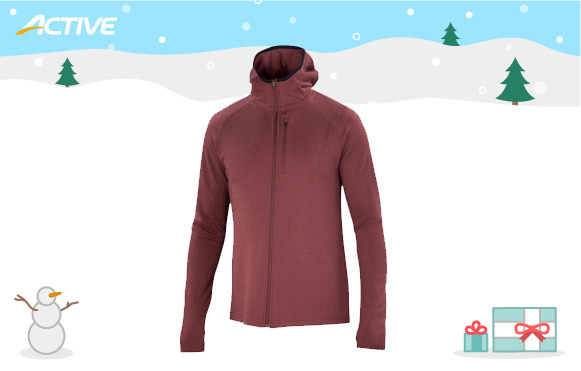 The Ibex Woolies 1 Base Layer does just that and more, with 100 percent Merino wool that holds its form no matter what you're throwing at it—running, cycling, winter sports or imbibing at the lodge. The rib construction offers excellent breathability and odor resistance, so you can sweat in confident comfort. Without sounding too cliché, this really is the gift that keeps on giving—at least, as long as the monthly subscription is being paid. 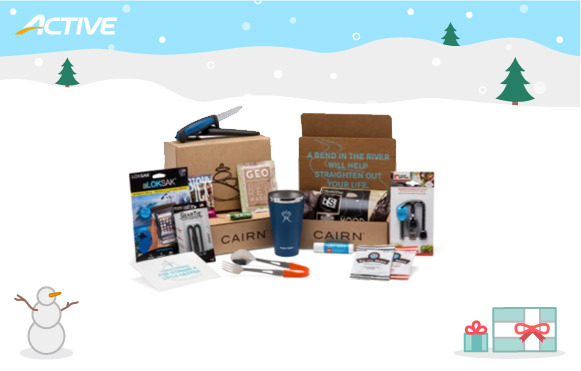 Riding the wave of popular monthly "discovery" boxes, this subscription service features curated items—like outdoor gear, apparel, skin care and emergency items—that are delivered to your doorstep. Let's hope it doesn't put Santa out of business. Fire is crucial to any outdoor survival, but matches and lighters get wet or easily lost in your pack. 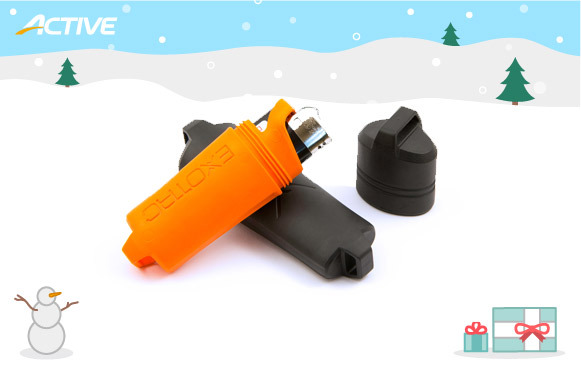 The Exotac fireSLEEVE is a waterproof polymer container that keeps any standard Bic lighter protected from the elements and securely attached to your pack for easy access. A movable band protects the gas button from pressing, or you can slip it over the button to keep it compressed without burning your thumb. This is a perfect stocking stuffer for the outdoors enthusiast in your life. The Connect by Tentsile provides a truly unique outdoor experience by suspending a tent in the air. This two-person model can be connected to three trees—or any other large anchors. 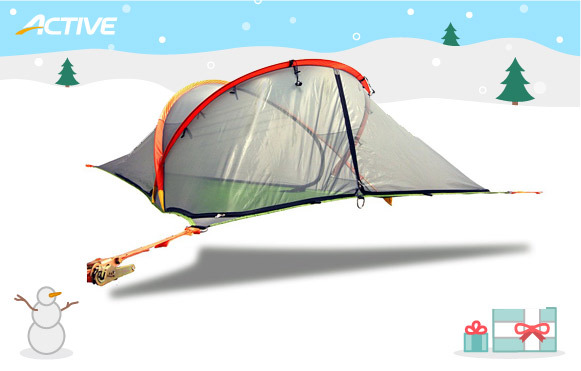 The tent features a removable rain fly and an insect mesh top. If you're wondering how to get up to the tent, it includes a rope ladder for climbing to your perch, making it a great alternative to the traditional tent. These boots were made for… anything you want to throw at them. Keen's APhlex Waterproof Boots offer the comfort you'd expect from Keen and the durability and support you need from your mid-hiking boot. Dirt and mud clean off easily from the synthetic upper and the multi-directional pattern offers increased traction, which helps keep you upright even on steep, slick inclines. 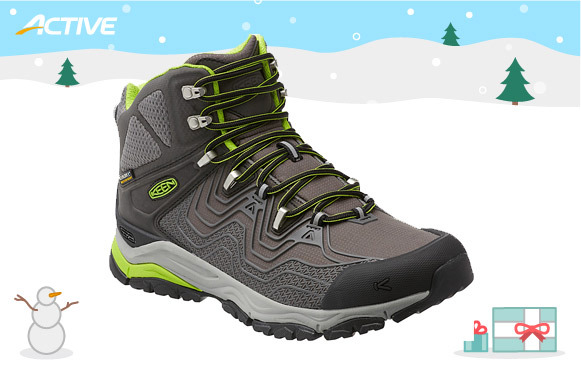 The APhlex is a versatile boot that will keep your feet warm and dry in any conditions. The boots fit true to size, including plenty of room for thick socks and are available in men's and women's models. When determining what to wear on your cold weather excursions, a shell might be overkill, while a vest might leave you exposed. The Ibex Shak Hoodoo Hoody addresses that dilemma with a just-right heavyweight, athletic cut Merino wool full front zip hoody. The Shak Hoodoo offers smart features with your movements in mind—a scuba-style hoody that fits comfortable and loose over your head, but won't act as a drag against the wind—and thumbholes do their part to keep your raglan sleeves in place. In all, it's a comfortable hoody good for any activity you throw at it, without bunching or riding up. Available in men's and women's. If your kid loves the great outdoors, then you can't go wrong with Gregory's Wander 38 youth backpack. The pack has more pockets than your kid will know what to do with, and its adjustable VersaFit torso design allows it to fit comfortably through every growth spurt. The top flap also features a handy packing order guide and an outdoors essentials checklist, so young explorers are prepared for anything. 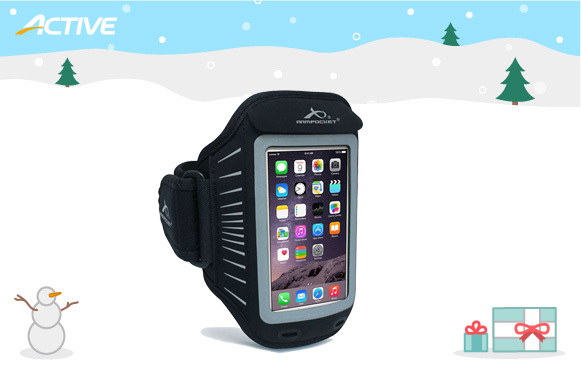 This handy multi-use electronic hand warmer doubles as a charger for your mobile device. Once charged, you can turn on or off the heating element to provide 180 to 300 minutes of warmth. It's able to fully charge most smart phones twice. 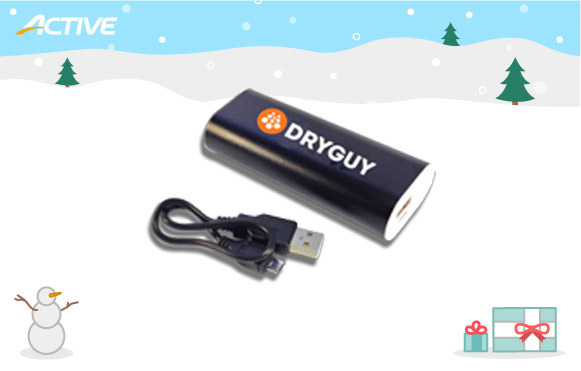 Don't be stranded without a charge or cold hands ever again.